Sometimes the road to success has obstacles. 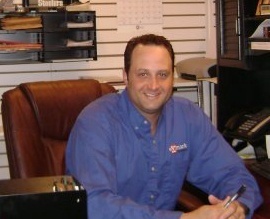 Equipment may be crucial, but for Tony the hardest part to achieving success is dealing with employees and their problems. And it shouldn’t come as a surprise that for a company that specializes in lawns and snow, weather can have both positive and negative effects. Tony believes the best way to work with customers is by being “completely honest and having their desires and needs first in our mind. We also strive for very thorough communication, which in turn, leads to complete satisfaction.” Lack of honesty among competitors is one of the most disturbing elements of running a business for Tony. As he says, “It’s hard to compete against contractors who classify their employees as subcontractors or 1099 employees in order to avoid paying roughly thirty-five percent (because workers’ compensation is based on payroll and so is unemployment). This puts our company at a huge disadvantage. 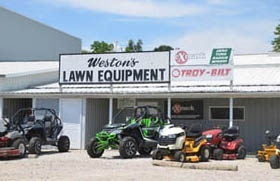 Thirty-five percent is a pretty large margin to overcome.” Tony has heard this firsthand from employees who have come to Weston Lawn Service and Snow Removal from competing contractors.